Allison Newsome, photograph by Scott Lapham. Originally inspired by the redwood forests in her native California, Allison Newsome sculpts on site, in response to the land. 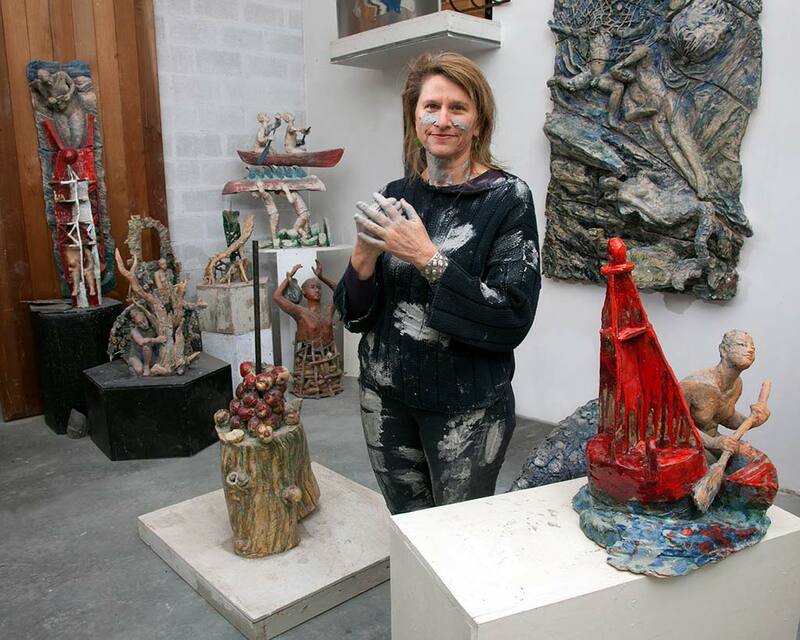 She writes, “I tote my clay, wax, aluminum, plaster, into the elements and then return to my studio with the memories embedded in my fingertips, like a naturalist returning from the field with specimens.” Her work addresses issues of environment and human interaction. It provides an avenue into figuration with embedded abstraction, at the same time inspired by ancient forms. 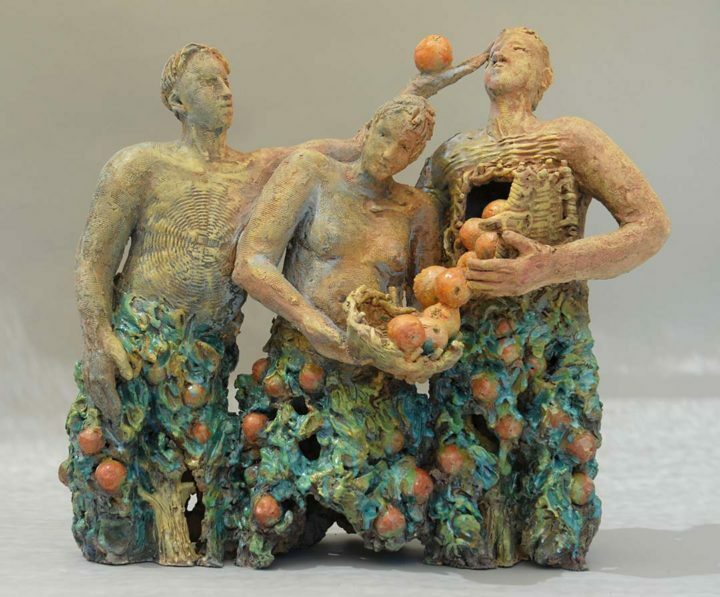 Newsome has a BFA in sculpture from Chico State University in California and an MFA in ceramics from the Rhode Island School of Design. She teaches in the ceramics program at Harvard University. Her work has been shown at the RISD Museum, the Newport Art Museum, Fuller Craft Museum, Beatrice Wood Museum and internationally. A recent project is the series of glazed terracotta lions atop Newport’s Audrain Automobile Museum. “Once Fired” stoneware, 24 x 34 x 8 in.